DBAL-D2 is rated 4.8 out of 5 by 10. Rated 5 out of 5 by CitizenPete from Own the Night - Force Multiplier. Worth the high price, every penny. This illuminator/laser is easy to mount, setup, zero and is built like a amphibious tank. 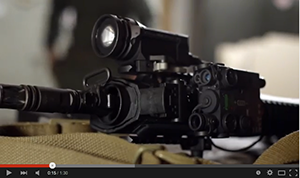 The brightness of the IR illuminator enhances even older Gen2 level NV optics making them very usable. What is most notable is the distances you can get out the IR light and IR laser - exceeded my imagination. Even the visible green laser is intense enough on the high setting to utilize during bright sunlight at 50 foot plus some. Because the visible laser and IR laser are mechanically dependent and in sync, setting IR laser zero is a breeze. Very high quality, and state of the art NV solution - truly a coyote killing tool or force multiplier when utilized properly. Rated 5 out of 5 by JoeJohnson from Third DBAL-D2, upgraded from I2 This is the third D2 I've owned. Previously had two black I2's that I swapped out for two black D2's (both from Laser Devices originally), both in red visible, that were spot on. The current one I have (from Steiners) is my first tan one, and first green laser from Laser Devices. Everything is spot on. Superb quality on all units. One nice feature of the D2's over the I2's is that the lasers are co-aligned, so once you sight in your visible laser, you know your IR laser is on point. The illuminator is easy to use and adjust for focusing. The only downside I could say about this product is how big it is. The illuminator just hangs off to the side, so in some configurations, like the Tavor, it makes mounting somewhat of a pain if you're also throwing on NVD. I barely got my ACOG/Co-mini/DBAL-D2 on the rail, but that's extreme. On a side rail it is no issue either. Rated 5 out of 5 by Lonewolf1369 from State of the art technology I received my DBAL-D2 yesterday and thoroughly read through the user manual (I’m like that; military aviator background) and finally had a chance to play around with it last night. It was very dark and I don’t have big city lights around to interfere with my night vision toys. IR laser is very viewable and bright under PVS14 and the IR illuminator is great. Whenfocused you get a nice circle of bright light and when “unfocused” a huge area of flood light. I could actually light up my whole backyard in flood. Glad I decided to go with this model. Rated 5 out of 5 by Northwoodz from Excellent I bought this D2 about a year ago, mainly based on its large illuminator. Absolutely lights up the area with a great controllable beam pattern.Lasers are both nice and bright along with easy zeroing. Main control switch is smooth with a nice felt feedback as you dial through the modes.. If your looking to own the night, this is the one! I now wish I would of ordered the black one, I wonder if Steiner offers any kind of service of repainting for their units? Rated 4 out of 5 by CHUDmac from Only one small issue with every DBAL I’ve used... 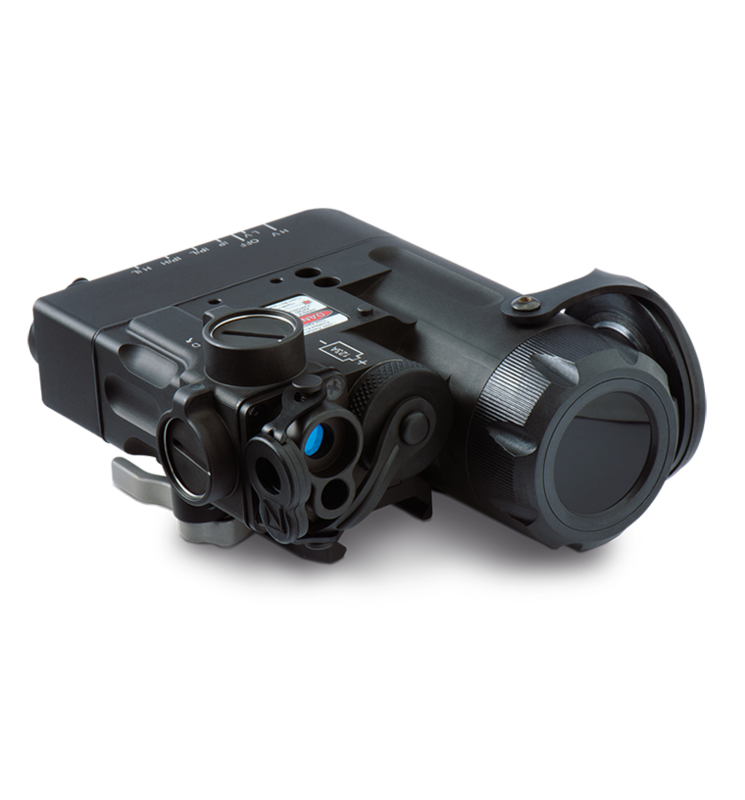 Durable, reliable, and with great features like a visible coaligned green laser for easy zeroing and an adjustable IR illuminator. Only issue I have with every DBAL I’ve used is the port for the remote plug. PLEASE make this port a hair smaller in diameter so the Crane style remote plug (TAPS or SureFire) doesn’t rattle loose after firing a magazine. Even better would be designing the port with threads and the remote plugs like a coax cable that screws onto the back of the DBAL. I feel so “cheap” having this >$1000 device on my rifle with the plug taped up so it doesn’t come loose. I was not impressed with my ATPIAL-C, but at least I don’t lose my laser under night vision because the plug fell out. Rated 5 out of 5 by NitePilot from Best option for night operations. DBAL-D2 is a very effective piece of equipment. I prefer using instead of a PEQ-15 due to the illumination feature and the more robust build quality. It's bigger in size but doesn't interfere with daytime sight picture paired with a EOTech and weight is a non factor. Rated 5 out of 5 by betop2323 from Dbal-d2 lights up the night I've had this unit now a few days and so far I've been really impressed. The ir illuminator is where this unit shines. It's really bright and the adjustability of the light beam is the icing on the cake. 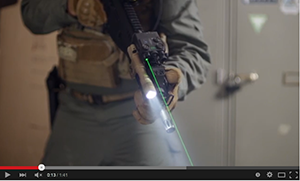 The ir laser is more than adequate for my desired usage and highly visible. are there remote switches available for this unit? Is it compatible with Surefire remote switches? There are switches available and it is compatible with the Surefire switches. It appears there is a spot to mount a reflex sight on the D2. Can you advise what sight fits this unit? Yes, you can attach a small picatinny rail on the top of the DBAL-D2, and mount a reflex sight, like the Steiner Micro Reflex Sight. It depends on the application. If target shooting, a DBAL-A3 is an excellent choice. If hunting and a large but focused IR Illumination is required out to 800 meters, than the DBAL-D2 would be recommended. Will the lasers hold zero on an M82A1 .50 BMG? Rifle devices are compatible with 50BMG systems. What kind of recoil was the dbal D2 designed for? &nbsp;Can I reliably run it on AR10 in 308 or larger without damage? Hello, We recommend the one the unit ships with. Do you offer any type of refinishing (paint) for the D2? I would like to change my Desert Tan colored unit to anything darker. Any suggestions would be appreciated. Thank you. We do not have any sort of refinishing services.